You'll be £15.99 closer to your next £10.00 credit when you purchase A Pathfinder's Story. What's this? 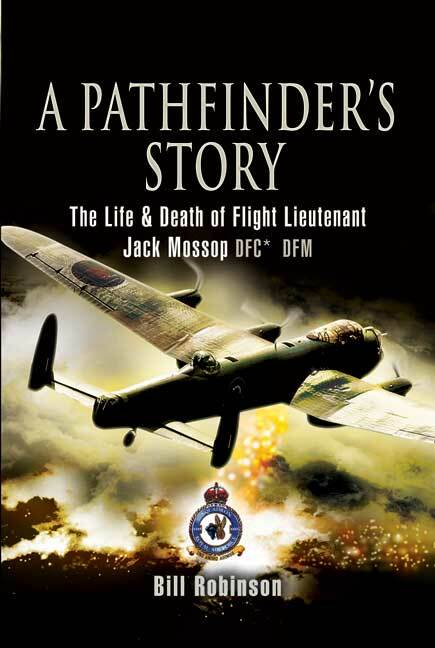 When he died in 1946, Flight Lieutenant Jack Mossop left behind a widow and child, a chest full of medals, and a diary. He was 25 years old. The diary gave tantalising glimpses of his career; sixty years on, his son has uncovered the truth. It is the story of an ordinary Durham lad called upon to perform extraordinary deeds. Serving initially as a Wireless Operator in 49 Squadron, he progressed to 76 Squadron under the legendary Leonard Cheshire, and finished as a Deputy Master Bomber with the elite Pathfinder Group in 35 Squadron. To complete even one tour of duty was against the odds. To complete a second and then to volunteer for a third was nigh-on incredible. Small wonder that one of his crewmates called him 'The bravest man I ever knew'. It is all the more tragic that he died a civilian's death on board a BOAC Lancastrian after the war, in suspicious circumstances, which attracted the attention of the Prime Minister himself. Jack saw most of the great actions of Bomber Command, from the 1,000 bomber raids of 1942, to the Battles of the Ruhr and Berlin in 1943, and the daylight operations of Normandy before and after D-Day. His story stands as a microcosm of the entire bomber campaign. Bill Robinson's account is a fascinating and stirring account of courage in war: a tribute not only to one man's courage, but also to the courage of the nameless thousands whose stories will now never be told.